As a NYC Paramedic you know that the REMAC exam is becoming harder and harder. What was once a basic protocol exam has transitioned into a stressful and high fail rate test. Sure even years ago it was hard, but if you studied and knew the protocols you would pass. Let’s be honest. 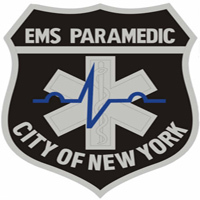 Whether you are a new REMAC candidate or a refreshing NYC patch wearing paramedic. You must pass to keep your job, get a job and stay working. Your livelihood depends on you getting that 80%. I have the honor of providing practice tests for NYC REMAC candidates. I have been doing it for over 15 years. So I know a little bit about how to succeed on this exam. Plus I will do live Q&A if time permits. This webcast will not give you the answers to the exam. However it will provide you with the ultimate resources and tips so that you will pass the first time. 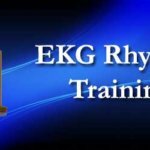 It is unlike any webinar I have ever done in the past and will break things down for you so you will walk into the exam room knowing you will succeed. See what others have said about my REMAC study help. As you can see, I am all about giving you the tools to make sure that you succeed. However, I will not be recording this session, it will be one time only and seating is limited. So please only sign up below if you are serious and will attend the entire session. No refunds will be given because you didn’t make it or left early. But if you do come, pay close attention and take key notes (I will tell you what is vital to your success). You will certainly pass. If you are ready to sign up and secure your spot just click the button above. After you sign up you will be sent to a registration page that you MUST fill out to get your unique link to join me on the webinar. August 10th, 2018 at 2:00PM EST. I know that you can see the value in this training workshop and I look forward to seeing you on the live session.